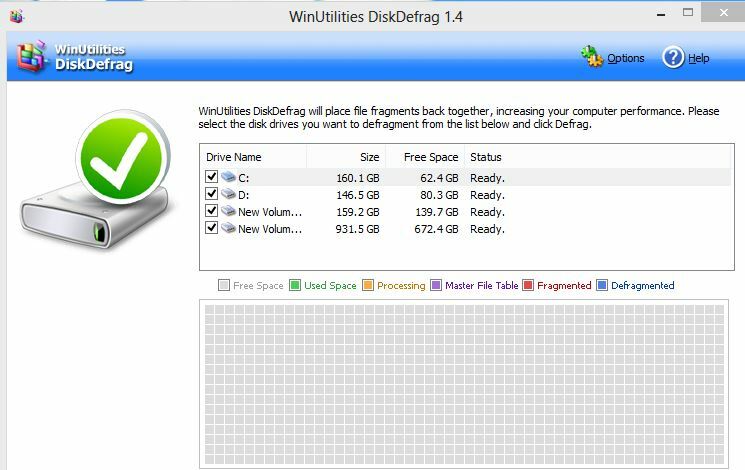 Defragmenting your Windows hard drive is one of the important task to improve the performance of your Hard Disk, this way you can increase the speed of Windows PC. 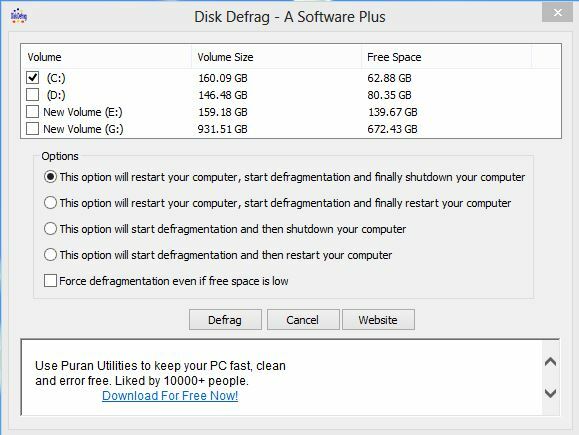 Defragmentation tool consolidate fragmented files and folders on your Windows PC hard disk so that each occupies a single space on the disk. 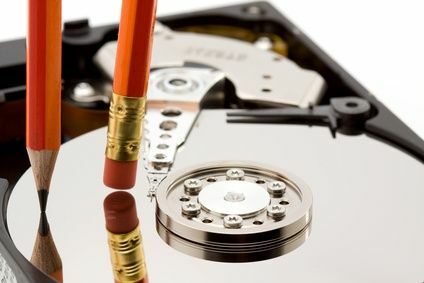 Usually when you deleted some files or move from your PC, so after some time a hard drive can become fragmented with hundreds of files broken up in many locations across the drive. This is the main cause of slow boot up and slow performance of PC. So once in a week you have to defrag your Windows hard disk to increase the performance of your computer. There are so many applications available in the market which provides you the option to defrag your Windows 7, 8 PC, so it is difficult to choose the best one for your PC. So today we have created a list of the best defragmentation tools to run you PC fast. One of the easy-to-use defragmentation application, and it even lets you defragment individual files and folders. A very light weight application for your windows PC with some of the best features such as Scheduled defragmentation, Multi-lingual support, Portable, Safe and Secure. Another light weight and free application to defrag your Windows PC hard Disk. It has some other features like shutdown or restart your computer after defrag is over as per your instructions. It is also helpful when you want to run defrag before you go to sleep. 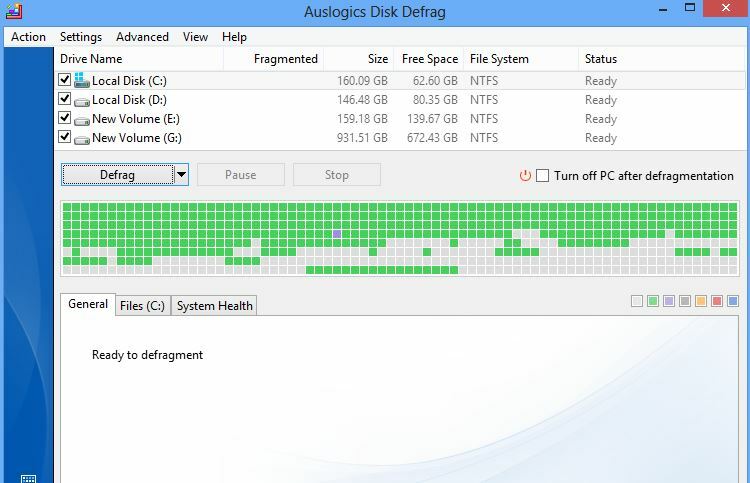 Not the least, you can select multiple drives to be defragmented at once. No need to click again and again to defrag all your drives. Smart Defrag is made by one of the most popular company iObit. Yes it is also free to use application, also the app supports boot-time degfragmentation so your disk is optimized as soon as you turn your computer on. One of the best feature is that it works fast, automatically and quietly in the background and is suitable for large hard drives. 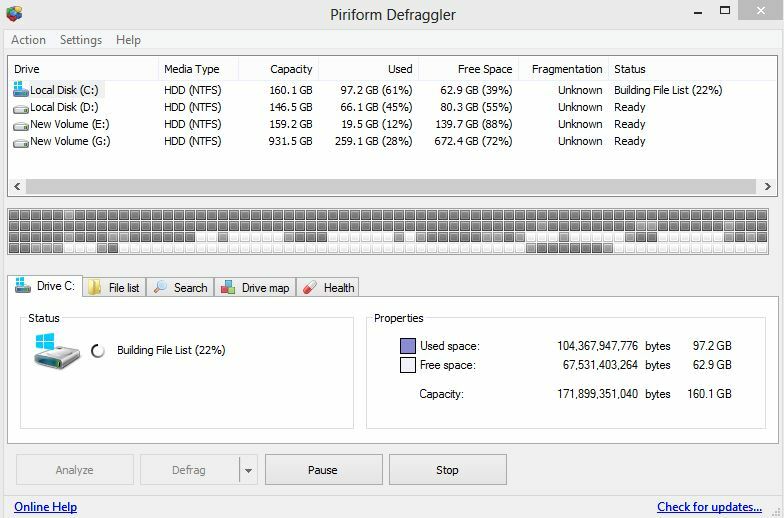 One of the neat and clean application to defrag your hard drive, It will improve your PC’s performance by defragmenting and re-arranging files on your disk. Also give you the option to defrag specific folder on your Windows PC drive. Also works silently in the background. 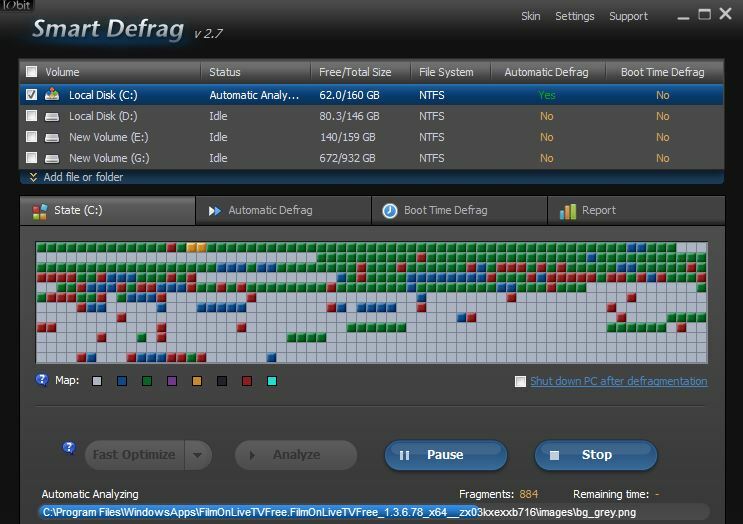 Another free and useful defrag tool for Windows 8, 7 and vista PC. With the helps of this application you can get detailed reports for every defragmenting analyze and defragmentation action. One of the fast and efficient defragmenter program. These are some of our favorite defrag tool, we tested all these applications on our Windows 64 Bit PC and all of them worked fine without any problem. If you have the knowledge of any other defragging tool to add to this list, do let us know and we will update this article.